Let's welcome the 3.2ml Asmodus Voluna V2 RTA. It is the successor of Asmodus Voluna, paying more attention on cloud and flavor chasing. With the unique dome shape chimney, the Voluna V2 RTA can condense the flavor into an extremely flavorful vape experience. It also features the unique and innovative Lego-like dual posts and wide build deck for easy coil building. 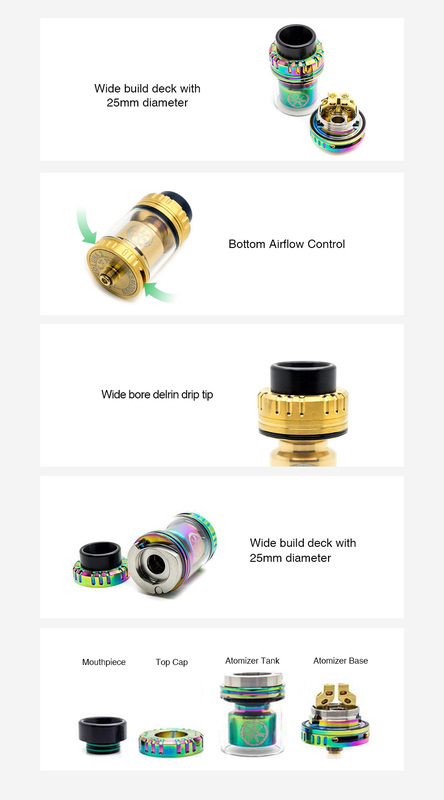 Plus the easy slide cap filling design, the Asmodus Voluna V2 RTA is really an ideal RBA tank for most vapors. It doesn't come with e-liquids, please buy them separately. You can select more Wire, Wick & Tool for easy building.